Are brick and mortars failing because they can’t compete against online merchants, or is it that they can’t adapt to the needs of evolved shoppers? The long, loud boom of e-commerce continues to rattle brick and mortar sales, but it’s not likely to ultimately kill retail. Consumers are still predominantly shopping in stores, where, according to Bloomberg Intelligence analysts, 90 percent of U.S. retail sales take place. The real threat is that online merchants want to win over the physical shopping masses, too. That’s why Amazon purchased Whole Foods supermarkets, installs gadget kiosks in malls and is building a chain of bookstores and university outposts and experimenting with convenience stores. 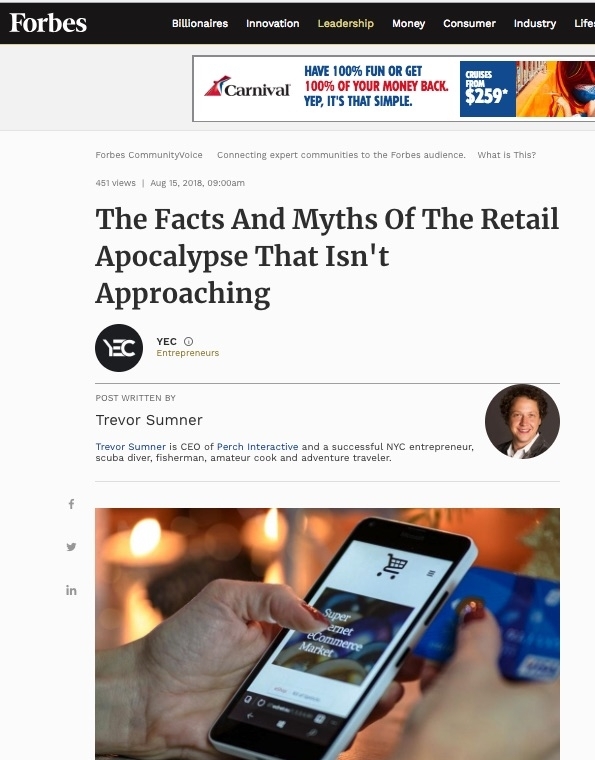 Debunking the myths of the retail apocalypse can help explain just where the state of retail lies today.